The Citroen French based manufacturer has just unveiled the C4 Cactus Arsenal Edition, which is a tribute paid to Arsenal fans. The special Arsenal Edition is the fresh sibling from the Citroen manufacturer, with the car being unveiled on April Fool`s Day today. The C4 Cactus Arsenal Edition is slightly different than the standard C4 Cactus, as it sports some special paint outside, coming as well with a semi-floating roof, blue finished panels, along with other distinguishable tweaks. 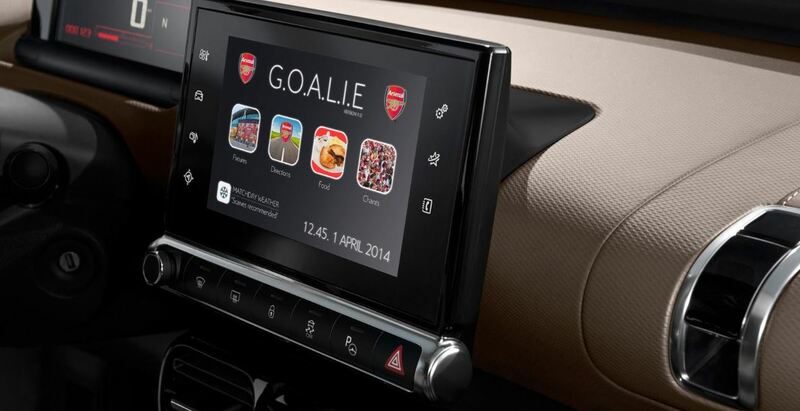 The Citroen Cactus 4 Arsenal Edition also comes with some fresh new features inside like a new infotainment system called G.O.A.L.I.E. – Geo Organized Away-day Location Information and Entertainment. The infotainment system is “bundled with the team`s away fixtures”, also having a music player with the Arsenal anthems enhanced. The Citroen Cactus C4 Arsenal Edition will come available in only 10 units and can be yours, if lucky, at the end of the year. In case you will not get the chance to have the Arsenal Edition, you can always buy the standard Citroen Cactus C4 and Citroen Tottenham.